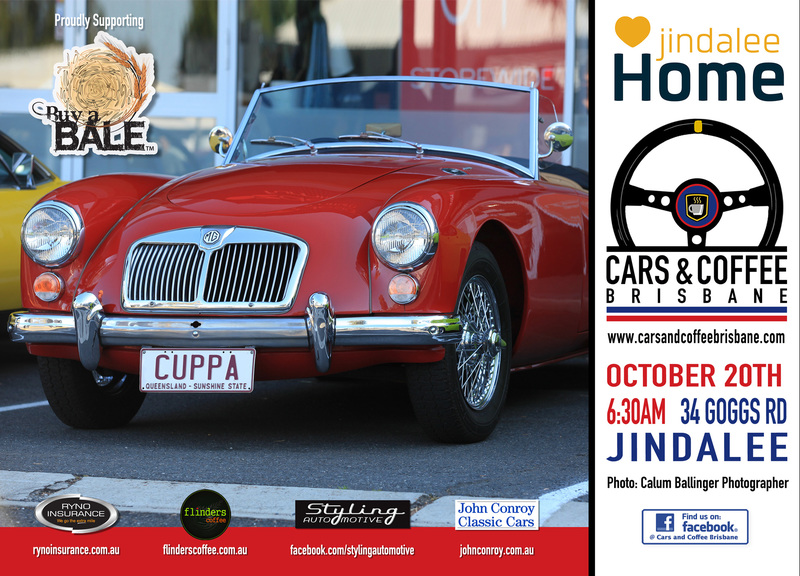 Our next Cars and Coffee Brisbane event is at Jindalee Home on Saturday the 20th of October. Please join us. The charity we are supporting is Buy a Bale of Hay – Making a difference to Australian Farming Families​. There will be collection tins on the tables at the Flinders Coffee vans. Please support their worthy cause.